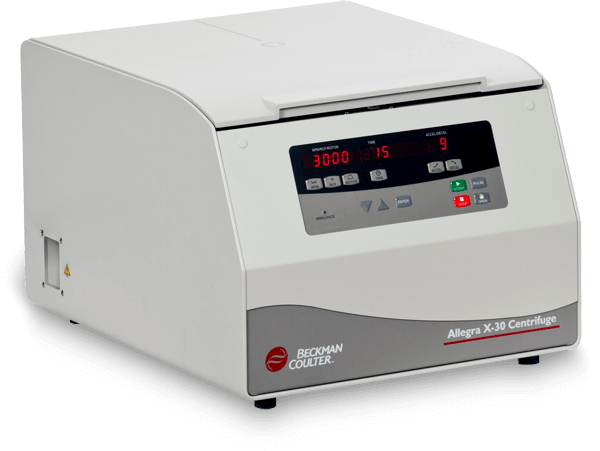 This version of the Allegra X-30 is a compact multipurpose benchtop centrifuge. It is IVD registered and can be used in a general research environment or in clinical sample preparation. The Allegra X-30 Series Benchtop Centrifuges were designed with your needs in mind providing you with excellent performance and easy operation in a compact design that saves you valuable time and laboratory space.